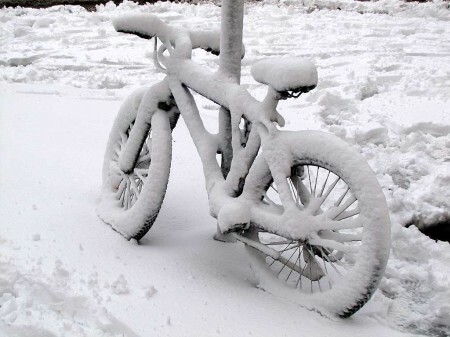 Bikes are always a popular gift at Christmas time, so anyone who receives one should make sure they get theirs securely marked in case they’re unfortunate enough to have it stolen. 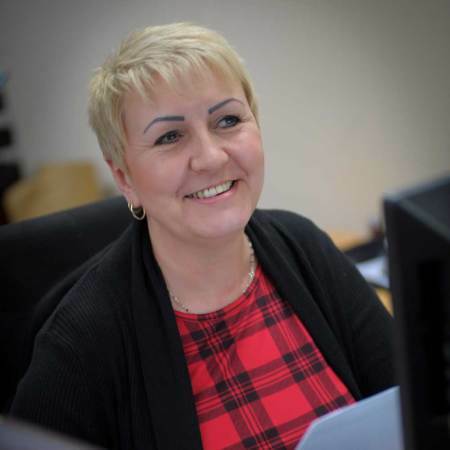 Officers from Lancashire Police had a quick win resulting in the recovery of a stolen bike and the arrest of a bike thief just 24 hours after the bike had been marked and registered to BikeRegister. 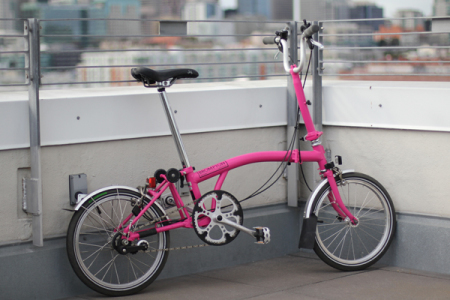 A woman has been reunited with her beloved Brompton bike by City of London Police within one month of it being stolen. 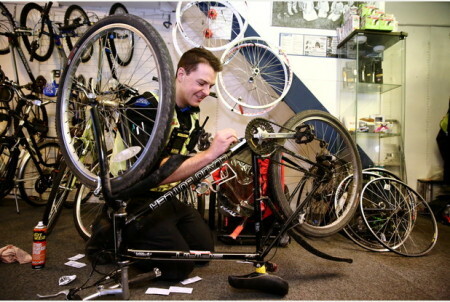 Cheshire Constabulary is putting the brakes on bicycle theft with a week-long crackdown on opportunistic thieves. 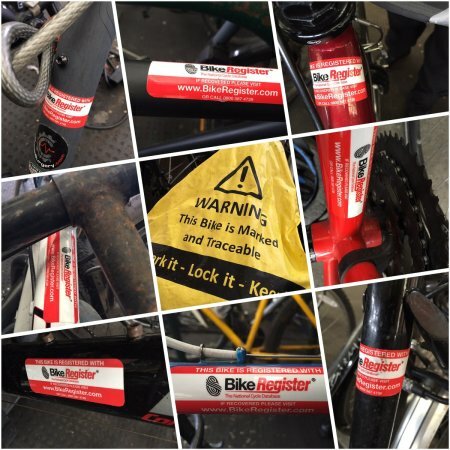 A bike was stolen and recovered and the thief arrested a full two weeks before the bike owner would have known anything about it, thanks to British Transport Police and national cycle database, BikeRegister. Cyclist Danielle Thornton had her bike stolen along with 10 others from the underground car park at the building where she lives in Leeds. 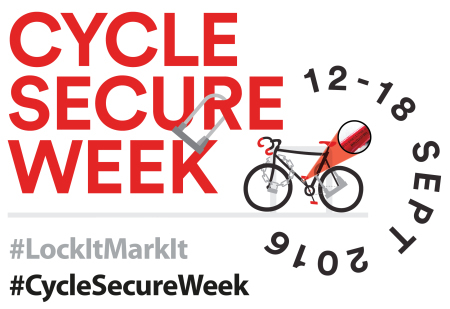 A dedicated week of action against bike theft is taking place from 12th-18th September and aims to deliver a total security message to London's cyclists - lock your bikes securely AND security mark them to deter theft. 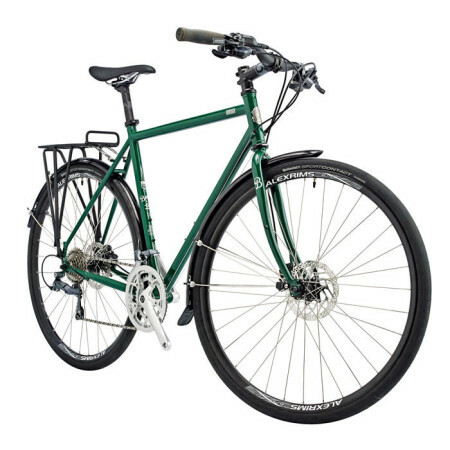 A bike that was taken straight to a Cash Converters in Leyton, east London, was flagged as being stolen within 20 minutes of the theft by vigilant staff at the store. 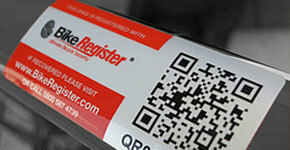 BikeRegister is being used across the 10 police areas that make up the West Midlands Police Force. 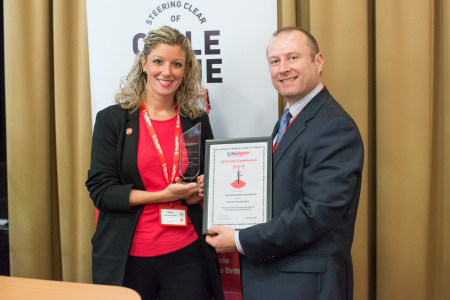 A highlight of the Steering Clear of Cycle Crime conference was the 2016 BikeRegister Cycle Crime Awards Ceremony which honoured the great work being done by so many police forces using BikeRegister to fight bike crime. 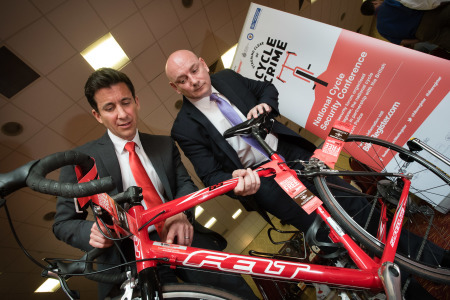 The second Steering Clear of Cycle Crime Conference, hosted by BikeRegister, the national cycle database, in association with British Transport Police (BTP), took place in Birmingham on Wednesday, 6th July. 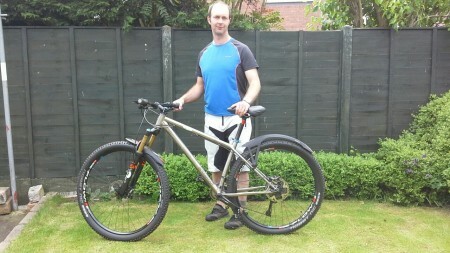 Avid cyclist Jonathan Stather from North Yorkshire was the 500,000th person to have his bike registered to BikeRegister. 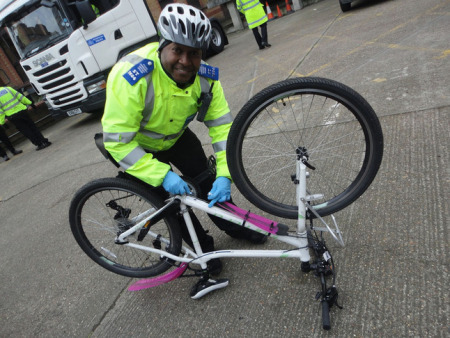 A total of 23 bikes have been recovered and returned to their owners in Tower Hamlets thanks to some great detective work from two Met PCSOs and an eagle-eyed ASB officer at a local estate. 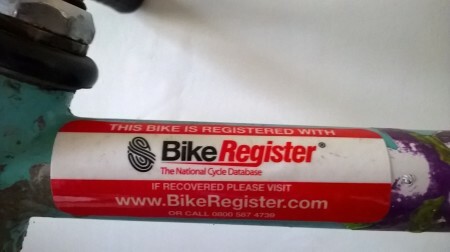 Over 500,000 bikes are now registered on BikeRegister www.bikeregister.com, the national police approved cycle database. 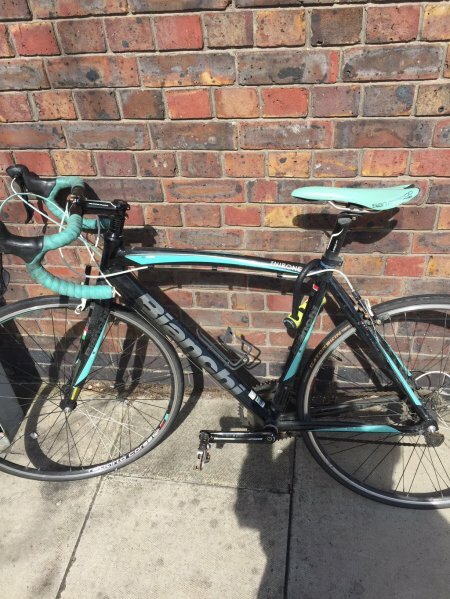 A Bianchi racing bike has been returned to its journalist owner after it was stolen from a secure car park at Canary Wharf in London. 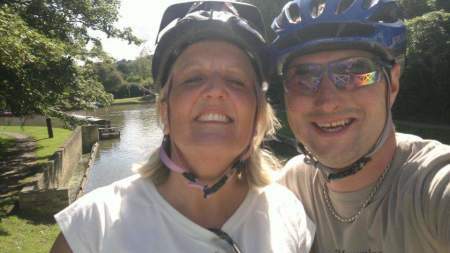 A man whose Raleigh Mountain bike was stolen from his home on a canal boat in Bath was surprised to have it returned to him, as he hadn’t even reported the crime to the police. 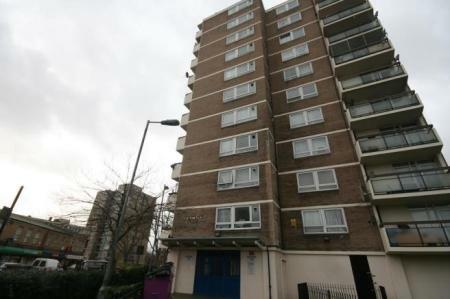 A blue Viva Bellisimo has been returned to its grateful owner after it was stolen in London’s West End. 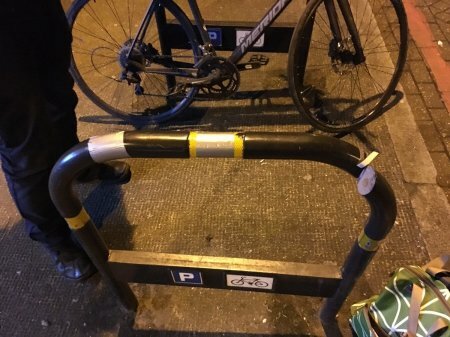 Cyclists in cities are being warned that metal bike racks might not be as secure as they look and that they should consider visibly marking and registering their bike in case it is stolen. 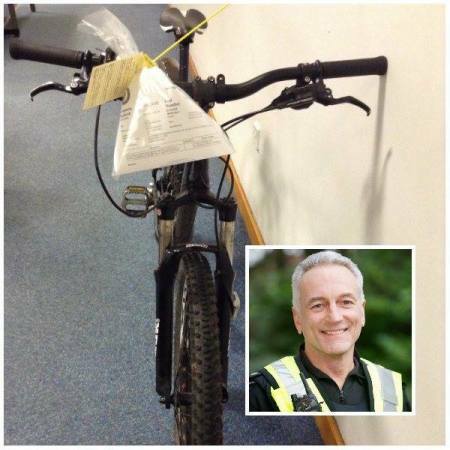 Officers from Warwickshire Police came across an abandoned cycle on a main road in Stratford-Upon-Avon, in the early hours of Sunday, 13th March. 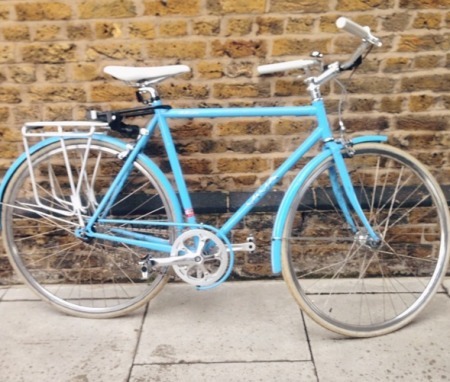 A stolen silver Raleigh Collette bike has been recovered and traced back to its owner thanks to an eagle-eyed member of the public and BikeRegister. 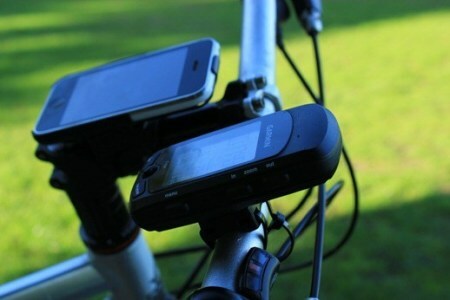 Cycling apps which map your route whilst riding are believed to contribute to the increased number of high value cycles being stolen in Dorset, according to Dorset Police. 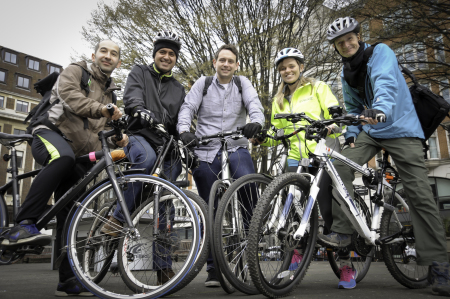 These bike owners have had their stolen bikes returned to them thanks to the hard work of our Police Partners and the fact that the bikes were registered to BikeRegister. We recently produced a bike crime graphic of the Top 10 Most Targeted Cities for bike theft using the information stored on our BikeRegister database. 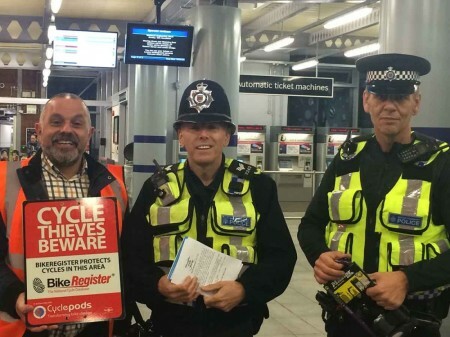 One of our partners, Cyclepods, recently helped out at a British Transport Police (BTP) bike marking event at Sevenoaks railway station. 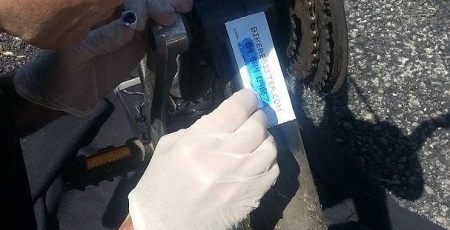 BikeRegister doesn’t just help identify bikes...in this case, BikeRegister was used to obtain the details of a man who had been involved in a collision so that police could inform his family. 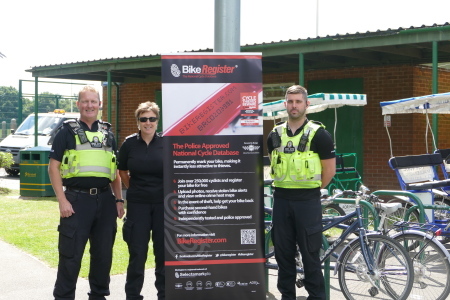 DERBYSHIRE Constabulary and Derby City Council have teamed up with BikeRegister to offer bike security marking in Derby as part of a new campaign to tackle cycle crime in the city. 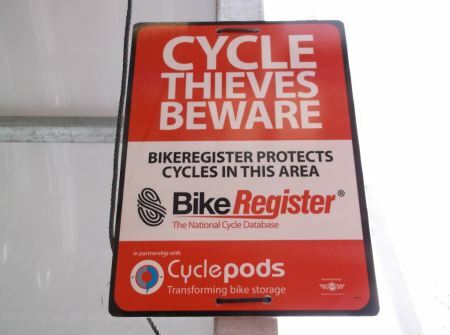 BikeRegister, the UK’s national cycle database, is urging everyone who is considering buying cycles as Christmas gifts - and those who already own bikes - to take steps to keep them safe and protected from thieves. 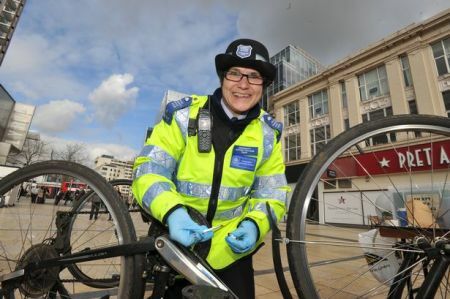 A STOLEN bike has been recovered after a thief tried to sell it to a cycle shop in Wandsworth and the observant retailer checked its status on BikeRegister, the National Cycle Database. 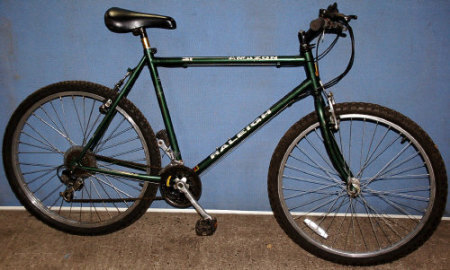 A SWIMMER who was left with a sinking feeling following the theft of his bike has had it returned to him in two days thanks to checks made by West Midlands Police and BikeRegister, the National Cycle Database. 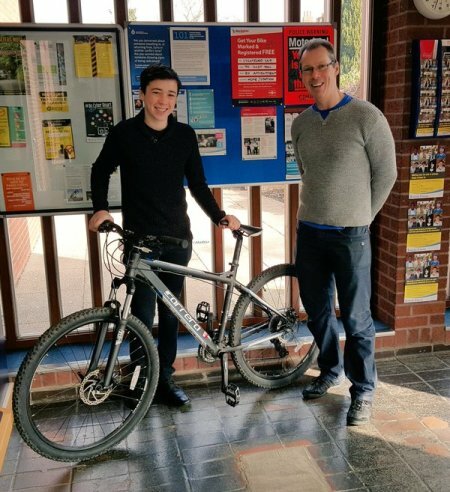 A MAN who had his bike stolen and recovered within two and half hours of registering it as stolen on the BikeRegister database has been reunited with his bike. 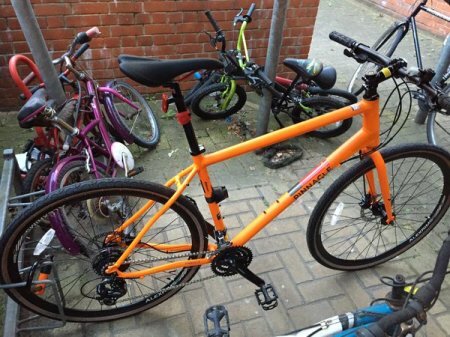 A CYCLIST who had his brand new orange Pinnacle Lithium bike stolen was extremely grateful that he had it registered to the BikeRegister database, as it was recovered to him within a week. 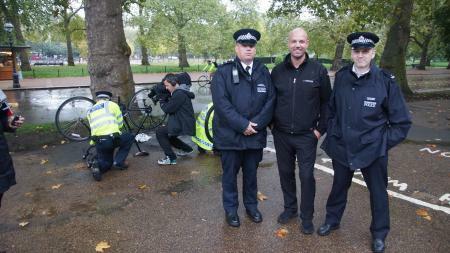 A Danish TV crew was recently in London to find out more about how BikeRegister is helping to reduce bike crime in the Capital. 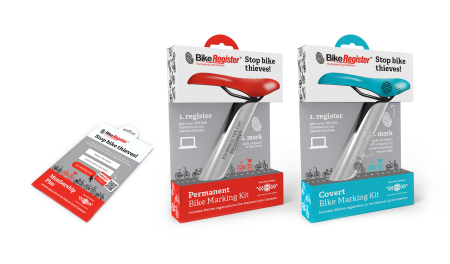 BikeRegister, the National Cycle Database, is proudly unveiling its brand new range of products and packaging today at The Cycle Show 2015, NEC, Birmingham. 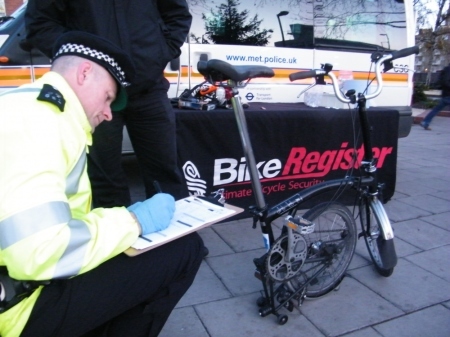 OVER 3,000 bicycles across London were registered to BikeRegister, the national cycle database, during a week of cycle security action organised by Transport for London (TfL), the Metropolitan Police Service, City of London Police and the British Transport Police. Bike Reunited With Owner After 12 years! 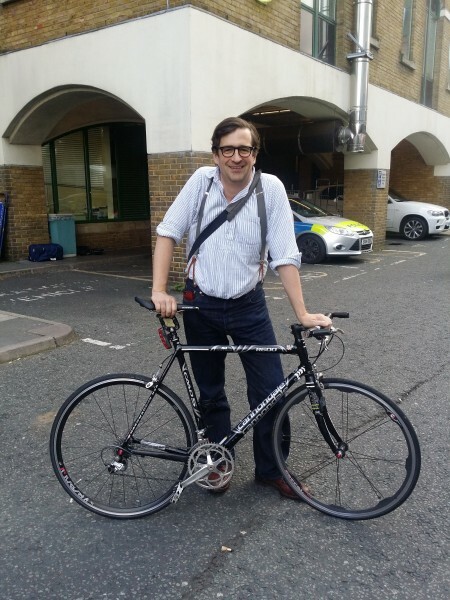 Proving that the BikeRegister system works, even many years later, one man has just been reunited with his bike 12 years after it was stolen thanks to an eagle-eyed officer from the Met Police in Hackney, who arrested a man in possession of a suspected stolen bike. 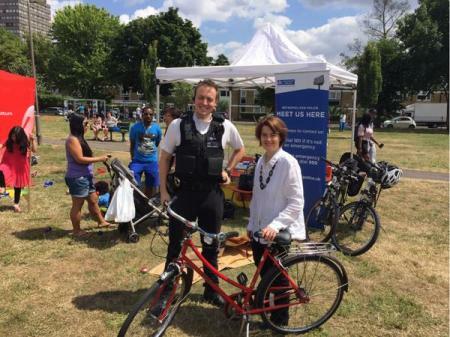 PUBLIC Health Minister and MP for Battersea Jane Ellison had her bike security marked by officers from MPS Wandsworth at a local community event. 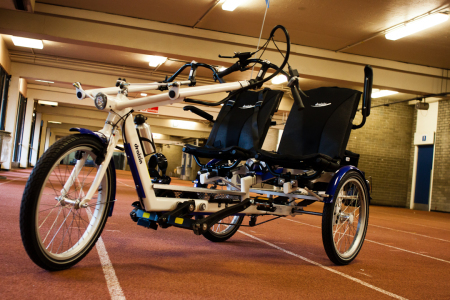 THE Blazing Saddles project in Scotland has marked a fleet of specialist bikes worth £2,000-£9,000 each. 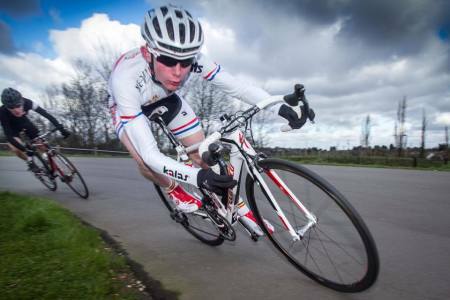 CYCLING sensation Daniel Tulett is setting the roads alight this season. 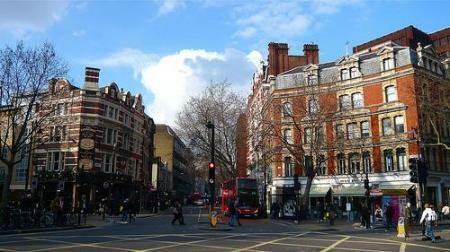 BIKEREGISTER is delighted to be able to claim its first love match! 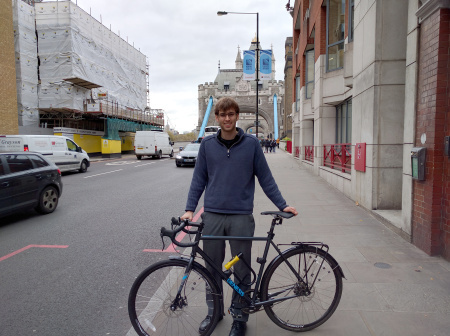 WE recently took a call from a cyclist called Benjamin Cordier who had locked up his bike in Cambridge Circus in London while he ran some errands. 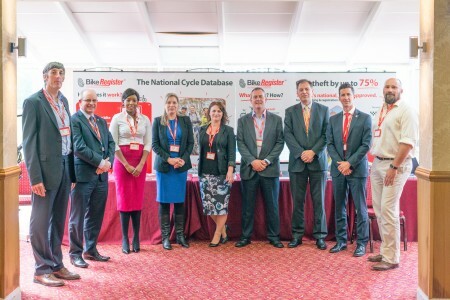 The inaugural Steering Clear of Cycle Crime Conference, hosted by BikeRegister, the national cycle database, in partnership with the British Transport Police, took place in Birmingham on Thursday, 9th July. A BIKE has been returned to its owner after it was spotted chained up on a north-east London estate by PC Kieran Ferguson of MPS Hackney. 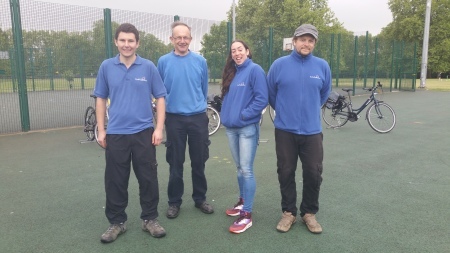 OUR BikeRegister Support Team recently helped a customer who is now living in Switzerland but had originally registered his bike when he was working in London. 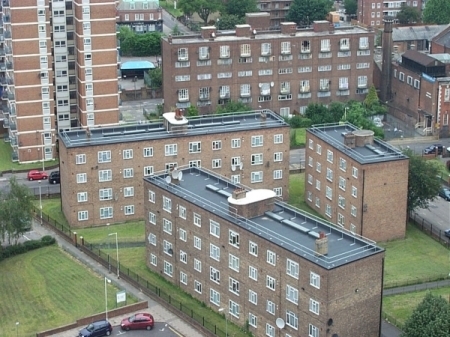 A CYCLE loan scheme in the London Borough of Hackney is proving popular with residents who are able to borrow a bike for a month at a cost of just £10. 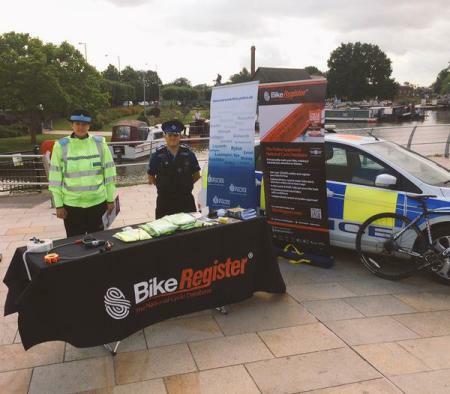 POLICE in Stratford, Warwickshire, are aiming to bring bike theft down to an all-time low by launching a new BikeRegister scheme. 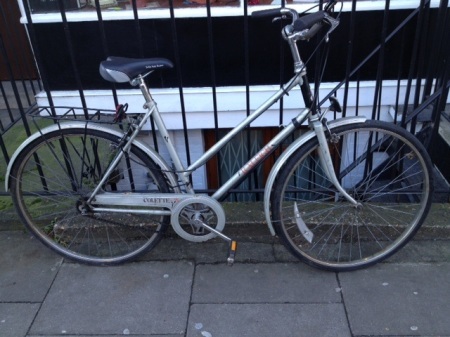 THE BikeRegister team recently received a call from a man who noticed that a bike had been dumped outside his house in Croydon, south London. 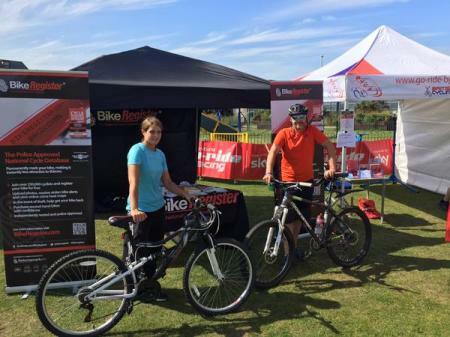 A LARGE number of bike thefts in Blackpool highlighted an urgent need to increase the public’s awareness of bicycle security. 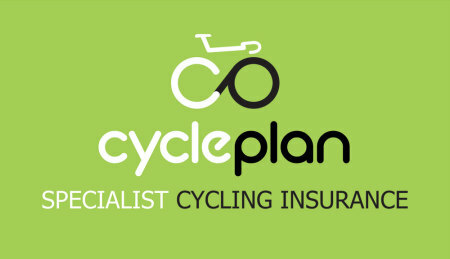 BikeRegister, the UK’s national cycle database, has partnered with cycle insurance specialists cycleplan to offer customers more help to protect their bikes.